A cozy lazy Sunday calls for a witty pocket tee. This adorable tee is from J Crew and I just adore it! The pocket has a sheep jumping over a fence along with the words: I'm so over it. Maybe I'm the only one but I think this is hilarious! Also it is in a great light pink color and is very soft. I paired this shirt with a long fuzzy cardigan. This combination made for the perfect lazy day look. To complete the look I wore dark wash jeans and short black boots (stolen from my mom). Pairing fun shirts with oversize sweaters is a great way to dress in the winter. This way you can wear things from previous seasons without freezing! So, if you are always cold like me, investing in fuzzy sweaters is a great idea. They are the perfect item to add to any look in the winter. Here is another look I styled this sweater. For my accessories I chose to layer these two smaller necklaces. Both of these necklaces were recent Christmas gifts from my parents. I am in love with both of them! I normally don't wear dainty small necklaces but these two are great. For a while now I have been wanting a House of Harlow necklace so I was ecstatic to open this up on Christmas. Then, I was eyeing this "M" Kate Spade necklace from the Nordstrom Semi-Annual a while back and it seems Santa saved me one! This "M" necklace also goes great with my new monogram necklace. Also, I'd like to mention that I CANNOT take off this KJP pearl bracelet. It is my favorite gift for sure. I just love it! It literally matches everything and it has two of my favorite things in one: pearls and anchors. This is the first time in a while that I haven't worn bold lipstick. Instead, I reached for a Tarte lip surgence in a neutral tone. I would say it is a "your lips but better" shade. The color is called Glitzy! How do you style cozy sweater? Let me know in the comments! How to style plaid scarves for winter! 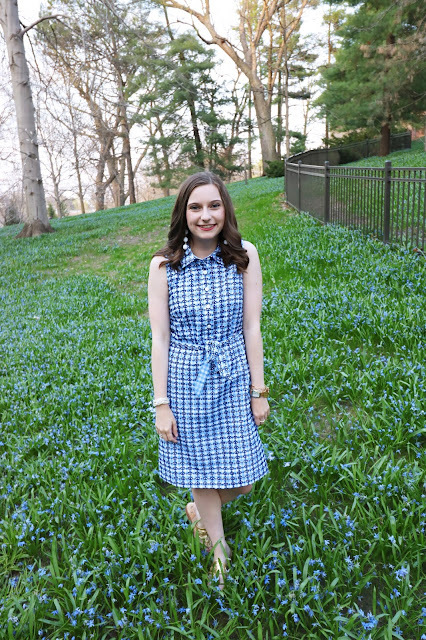 How to style The Periwinkle Co. bows!